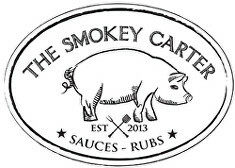 Since the beginning of The Smokey Carter we have made it our passion to create the best quality products. 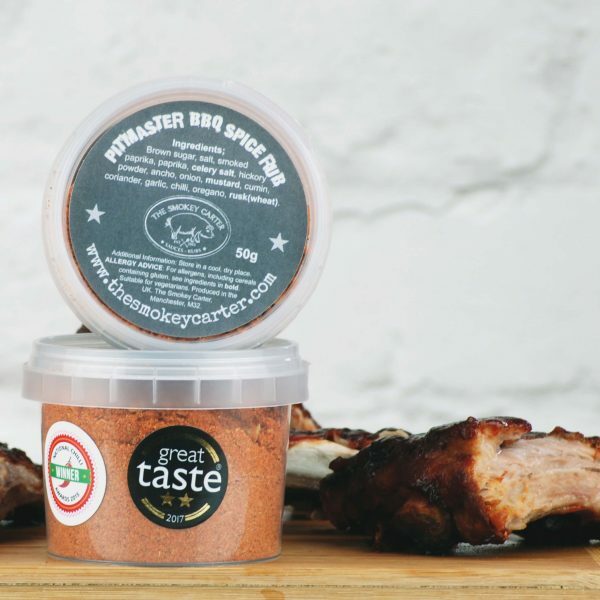 2015, 2016 and 2017 saw us win some prestigious awards for our BBQ rubs and sauce at the critically acclaimed Great Taste Awards held by the Guild of Fine Food. We’re proud to bring you these Award Winning products all in one box. 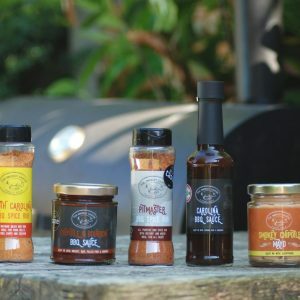 Ideal gift for those that love to barbecue. 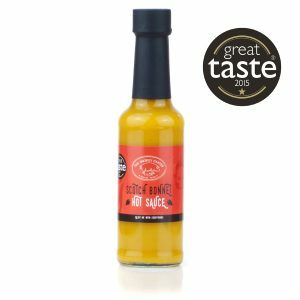 Spiced Mango and Lime Spice Rub – A little nod to Indian flavours, perfect for chicken and white fish or add to lamb balls, falafel and dahl. 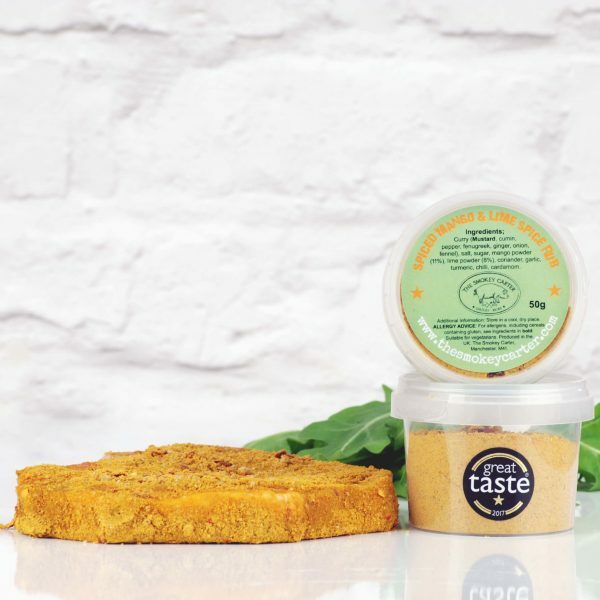 Ingredients; Curry (Mustard, cumin, pepper, fenugreek, ginger, onion, fennel), salt, sugar, mango powder (11%), lime powder (8%), coriander, garlic, turmeric, chilli, cardamom. 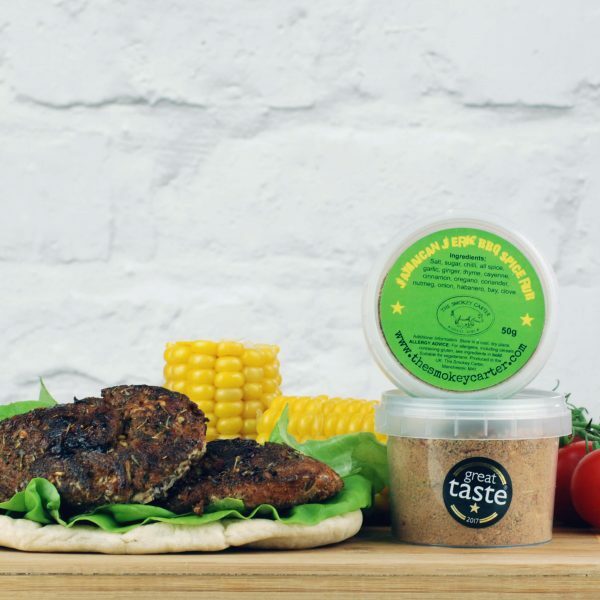 Jamaican Jerk Spice Rub – Taste the sunshine of the Caribbean; with nutmeg, cinnamon and all spice, perfect on chicken thighs, or used in curries, rice and falafels. 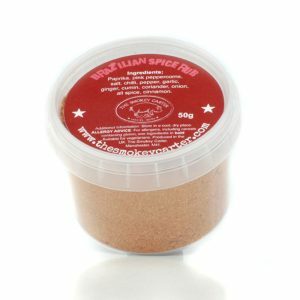 Ingredients; Salt, sugar, chilli crush, all spice, garlic, ginger, thyme, cayenne, cinnamon, oregano, coriander, pepper, nutmeg, onion powder, habanero, bay, clove. 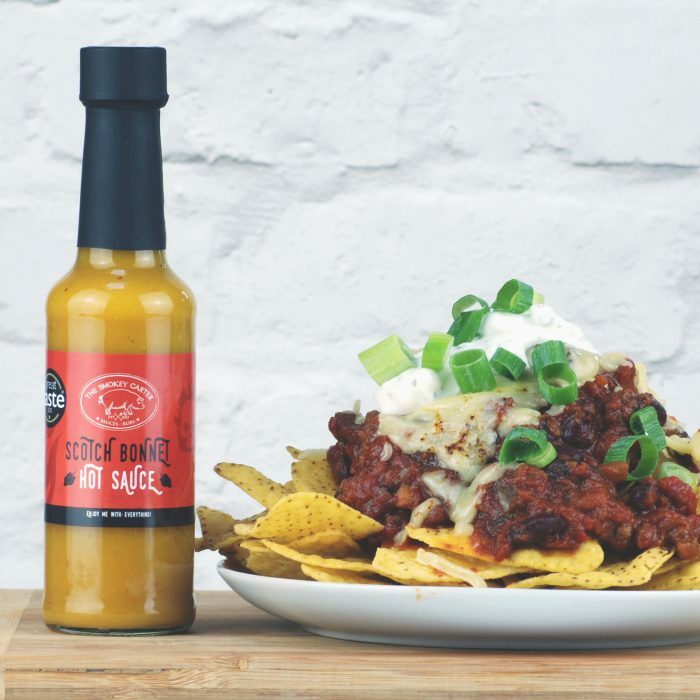 Ingredients: Spirit vinegar, water, scotch bonnet chilli (14%), sugar, pineapple, mango pulp (mango, sugar, water, acidity regulator (citric acid)), salt, malt vinegar, carrot, onion, mustard, spices, xanthan gum. 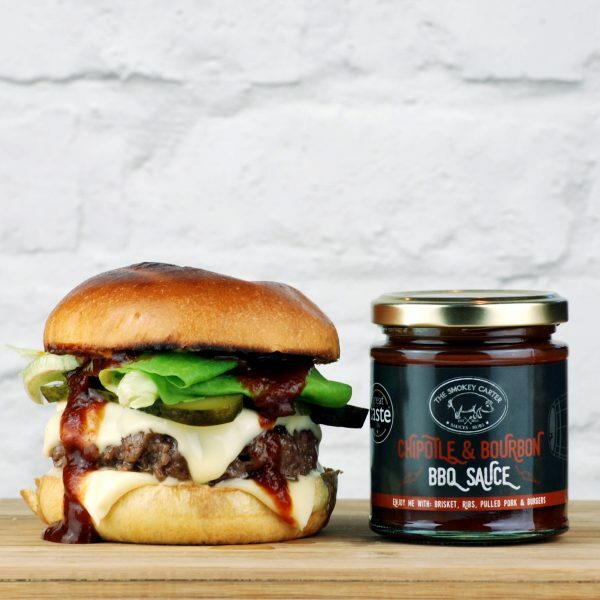 Not suitable for a gluten free diet as contains Malt vinegar. 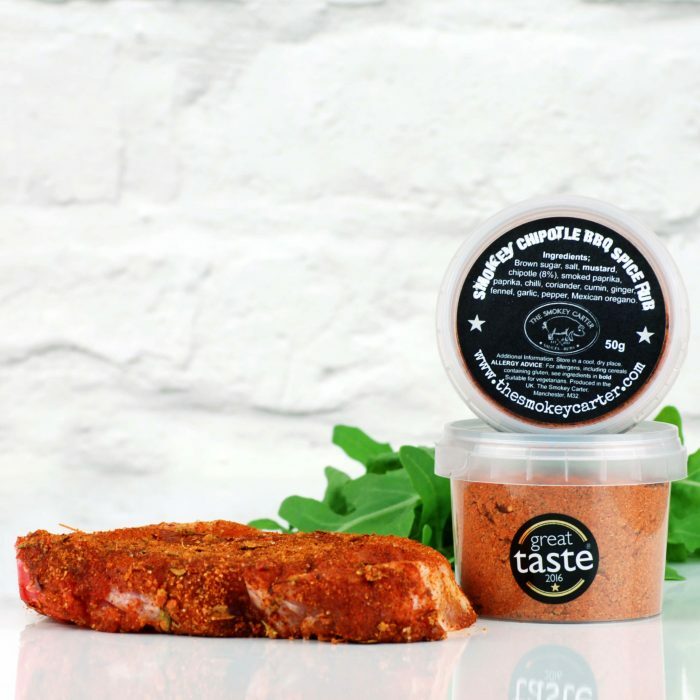 Ingredients; Brown sugar, salt, smoked paprika, paprika, celery salt, hickory powder, ancho, onion, mustard, cumin, coriander, garlic, chilli, Mexican oregano, rusk(wheat). 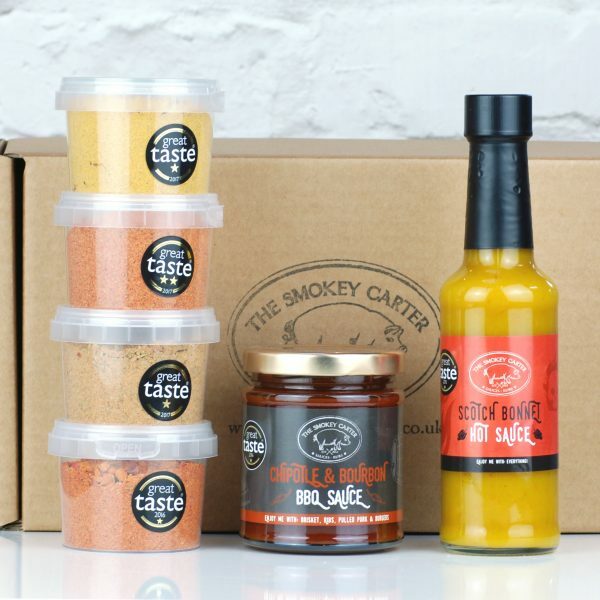 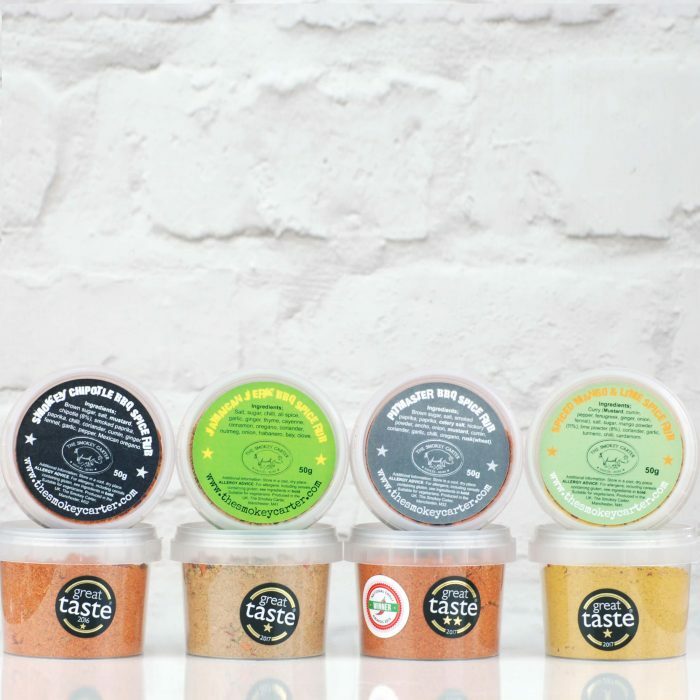 Ingredients – Brown sugar, salt, mustard, chipotle (8%), smoked paprika, paprika, chilli crush, coriander, cumin, ginger, fennel, garlic, pepper, Mexican oregano.